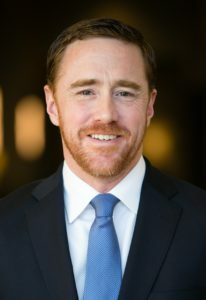 Bunker Hunt reportedly said those words in the early 1980s after the Hunt brothers lost a large chunk of their family fortune in their ill-fated cornering of the silver market. But John Paulson must be thinking the same thing. After Monday’s 9.3% drop, Paulson has personally lost over $1.5 billion over the past two trading days in his gold investments, not to mention the sums he has lost for his clients. As much as I would love to, I can’t gloat because even after the recent bloodletting gold bugs can call scoreboard on me. I initially got bearish on gold in 2010 when it crossed $1,200, believing at the time that the gold bubble has reached the euphoria stage. Well, it got a lot more euphoric from there, rising another 50% from that point…and I had to eat a lot of crow. Though probably not as much as Paulson right now. The recent action should finally lay to rest one of the common misconceptions about gold: that it is a stable store of value. No asset that has risen in value by a factor of six is “stable.” Gold is a speculative asset like any other whose price is determined by the whims of the market. As the more “financialized” gold gets via ETFs and mutual funds, the more it behaves like the rest. Gold is not an antidote to stocks or other “paper” assets. It has now become a paper asset. While gold may, in theory, have value as an inflation hedge, this matters very little in a world where most industrialized countries have inflation rates under 2%. But most fundamentally, gold fails my test as an investment because it pays no interest or dividends and has no productive purpose. It is a shiny metal…and nothing more. But none of this matters in the short-term. As any good trader knows, in the short-term the only thing that matters is supply and demand. And this is why I would steer clear of gold for the time being. As the Dow hits new highs and the 2008 crisis becomes more of a memory, investors are starting, albeit slowly, to return to the stock market. This is very bad news for someone like John Paulson, who needs a large pool of greater fools on which to unload his massive gold hoard. 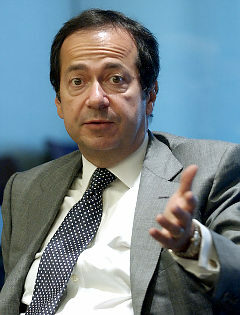 At the risk of picking on John Paulson, he’s really gotten himself into a mess. By GuruFocus estimates, he owns 22 million shares of the SPDR Gold Trust (NYSE:GLD), holding more than 10% of all traded shares. He also holds stakes in miners and in physical bullion. When the size of Paulson’s gold bet became known, the New York Times calculated that Paulson owned more gold than the Australian government. If you were a hedge fund manager or trader and you thought that there was even a slight possibility that Paulson was going to liquidate, you would rush to the front of the line to sell before he did. I’m not saying that this is exactly what happened on Friday and Monday. But a technical explanation like this is far more plausible than the explanation given in the media: slower growth from China. Chinese growth of three tenths of a percent lower than expected does not “cause” gold to lose over 9% of its value in one day. But a hedge fund stampede most certainly would. Gold might enjoy a dead-cat bounce today and in the days ahead. But given the large investors with enormous positions to unwind, I wouldn’t advise trying to bargain hunt here. Disclosures: Sizemore Capital has no interest in any security mentioned.